Consumers Union of Japan (CUJ) was established by Mr. Takeuchi Naokazu in 1969. For over 45 years, CUJ has led the independent Japanese consumer movement. In 2006, CUJ was officially certified as a non-profit organization by the Japanese NPO legislation. Organized a committee to establish Consumers Union of Japan. Articles concerning the campaign about the Coca Cola problem and our questions submitted to the Parliament. Campaigned about the safety problem of synthetic detergents based on Dr. Fumihiro Yanagisawa’s research proving the risk associated with synthetic detergents. Although there was only a 20% content of sesame oil, both Ajinomoto Sesame Oil and Nissin Sesame Oil were deceptively labelled as sesame oil. We revealed that there were no improved engine output effect in addition to health problems related to lead. As a result lead-free-gasoline increased in popularity among drivers. 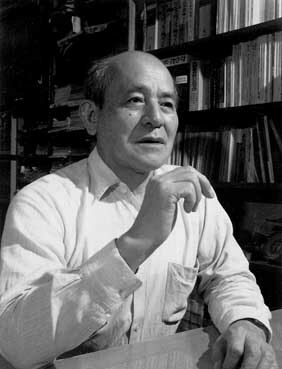 CUJ’s Takeuchi Naokazu gained widespread media recognition. Encyclopaedia Britannica sold together with cassette tapes to children as English conversation material. 2000 unsatisfied customers were able to get compensation. Consequently, legislation was revised regarding installment payment sales. Invited Ralf Nader to Japan and made a workshop. We notified Ministry of Health, Labour and Welfare of a violation against the Pharmaceutical Affairs Law for milk powder to babies and infants. CUJ revealed that Daiwa House Industry Coop committed exaggerated and deceptive advertising for prefabricated houses and sales building lots. As a result, the company had to temporarily close down and publish an apology. We revealed that the encyclopedia included a total of 460 mistakes. A company labeled the main raw material of their soup as a natural product made of premium dried bonito. But, the raw material was mainly chemical seasoning. As a result, the Fair Trade Commission admonished the company for invalid labeled. CUJ demanded to the Fair Trade Commission that labeling of Sake should only be allowed for alcohol made from rice and traditional koji yeast, and not for Sake mixed with other types of alcohol made from starch- and sugar-containing waste products such as sugar cane, sugar beet, or wood pulp. Consequently, the Sake industry agreed to adopt self-regulation to label the raw materials used in the making of Sake. This ignited a boom for genuine Sake and traditionally produced local Sake. The carcinogenicity of the nitrofuran derivative AF2 (furylfuramide) used for tofu and minced meat and fish paste as a disinfectant was confirmed by a group of scientists. A consumer campaign to ban AF2 spread to the whole country; first, department stores and supermarkets refused to sell AF2-containing foods. Then, food manufacturers decided to discontinue the use of the mutagenic food additive. Also, local assemblies adopted resolutions against it, and finally, the Ministry of Health and Welfare decided to ban it totally, admitting AF2’s carcinogenicity. Class action by consumers against illegal oil industry cartel. Consumers Union of Japan established as an independent radical consumers organization. CUJ demands revision of the Anti-monopoly Act (Act on Prohibition of Private Monopolization and Maintenance of Fair Trade); 40 points of revision proposed to all political parties by CUJ. Ministry of Health and Welfare (MHW) totally banned saccharin in November 1973, following the announcement of its carcinogenicity by the US FDA. However, MHW repealed the ban the following month; whistle-blowing revealed bribery by food industry. In April 1975, the Ministry introduced 5-10 times higher permissible levels of saccharin based on falsified data that “showed no carcinogenicity”. Adding lysine, one of the essential amino acids, for school-lunch bread as fortification was enforced. However, a group of scientists detected carcinogenic 3,4-benzopyrene in the lysine. A campaign against the lysine fortification led by CUJ and other consumer organizations resulted in a nation-wide ban of the synthetic food additive. The US FDA banned Red No. 2, a food dye, after data revealed its carcinogenicity. CUJ sent an open letter to 178 firms with a questionnaire. Major food, medicine and cosmetic manufacturers, as well as department stores and supermarkets replied that they would stop producing and dealing in products containing the food dye. CUJ also campaigned against cosmetics containing harmful chemical ingredients in its newsletter, Shohisha Report (Consumer Report), and stopped a High School class about makeup and beauty treatment. The campaign made cosmetic makers modify the cosmetic labelling regarding the effect and efficacy. CUJ organized a Cosmetic damage emergency telephone hotline campaign to hear from consumers suffering physical damage caused by cosmetics. The victims, seeking compensation, won a class action suit against five cosmetic makers. The Ministry of Health and Welfare authorized use of ortho-phenyl phenol (OPP) as a fungicide for citrus fruits under pressure from the US FDA. Consumer groups launched a boycott of imported citrus fruits treated with OPP. Consequently, production and sales of domestic lemons increased. Echoing the call, various events were held throughout the country during the action-week. CUJ initiated a campaign to establish a Freedom of Information Act in Japan: CUJ sent a questionnaire to each political party. A Citizens Movement for the establishment of a Freedom of Information Act started. Ordinances for information access were enacted by several local governments. A Baby-food maker was found to be sterilizing their ingredients with radiation using cobalt-60. CUJ denounced the maker and the authorities. A campaign against irradiated food for school lunches was launched by CUJ and Japan School Lunch Association decided not to use irradiated potatoes; Tokyo Metropolitan government decided to eliminate irradiated food from its central wholesale market. Serious accident at the Three Mile Island Nuclear Power Plant: CUJ demanded the Ministry of International Trade and Industry to stop all the nuclear reactors in Japan. CUJ denounced fraudulent advertisement for a synthetic detergent: CUJ’s product test revealed that the maker had used brand new white shirts for its TV commercials. CUJ made a complaint regarding the CM to the Fair Trade Commission, and demanded the makers and TV stations to stop such misleading advertising. CUJ denounced a “ultra-sound face aesthetic device” as a bogus product: the expensive device proved to produce almost no ultra-sound, had even less cleansing effect than normal soap, did not remove cosmetics, and provoked dermatological troubles. CUJ made a complaint to the Fair Trade Commission.